After another foot of snow fell last night, adding insult to injury. The snow is now so deep that it’s almost subsumed our fencing at the barn. You can still see the wooden post fencing, but the internal tape fencing? It’s pretty much underwater. The good news is that there’s so much snow that even if there wasn’t any fencing at all, the horses probably aren’t going anywhere. 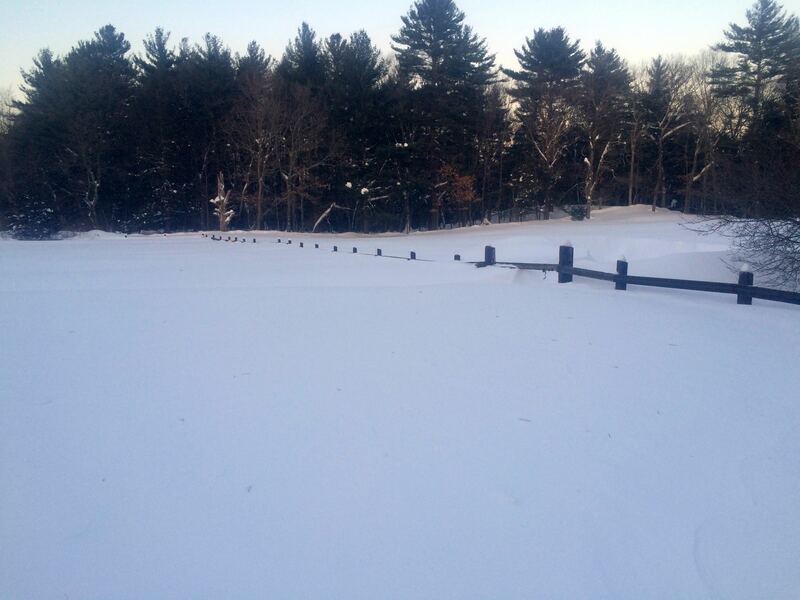 so much snow….. stay warm! !